Applicants are invited to apply for a PhD scholarship in mathematics at University of Southampton. The funding allows successful candidate to work for 3 years. Potential candidates should apply before March 04, 2019. Bacterial biofilms, in particular formed by Pseudomonas aeruginosa (PA) are key to cystic fibrosis pathogenesis. In the biofilm state, bacteria render conventional therapeutic regimes poorly effective. Consequently, there remains a vital need for new and improved treatments that address the issue of biofilm bacteria, to further improve survival rates and patient quality of life. Previously we have demonstrated that a novel series of dispersal-inducing nitric oxide-releasing prodrugs, that release NO in the presence of bacterial beta-lactamases, are effective in dispersing PA biofilms in-vitro and potentiate the action of antibiotics. This PhD project will focus on key challenges that must be addressed for further preclinical development of these compounds, including the role of biofilm dispersal agents within host and immunity contexts. This project is set within an interdisciplinary environment with biofilm specialists, academics and clinicians, and the successful applicant will become familiar with a range of microbiological based molecular and microscopy techniques including 3D confocal laser scanning microscopy in combination with fluorescence in-situ hybridisation. This Southampton-based project provides collaboration opportunities between the NIHR Southampton Biomedical Research Centre, the Imperial College London-led Cystic Fibrosis Trust Strategic Research Centre (SRC) and the recently awarded Southampton-led National Biofilm Innovation Centre (NBIC), a 26m UK commitment that links academic and industrial research into biofilms, and with a remit that includes clinical biofilm infections. The project is funded for 3 years and welcomes applicants from the UK and EU who have or expect to obtain at least an upper second class degree in Biological Sciences or allied subjects. Funding will cover fees and a stipend at CF Trust rates of 19,919 per annum for 2018/19. Subject to rise for 2019/20. https://studentrecords.soton.ac.uk/BNNRPROD/bzsksrch.P_Login?pos=4973&majr=4973&term=201920 Please place Jeremy Webb's name in the field for proposed supervisor. The University of Southampton and School of Biological Sciences both hold an Athena Swan Silver Award, demonstrating their commitment to provide equal opportunities and to advance the representation of women in STEM/M subjects: science, technology, engineering, mathematics and medicine. Due consideration will be given to applicants who have taken a career break. 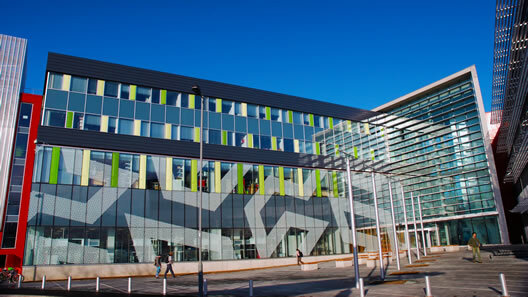 University benefits include onsite childcare facilities, state-of-the-art on-campus sports, arts and culture facilities, a full programme of events and a range of staff discounts.